Seven hours after we arrived in Manila from Iloilo, we were back again at NAIA Terminal 3, this time for a flight to Catarman, capital of the province of Northern Samar. It was the height of TS Kabayan and we were already expecting that our flight would be cancelled. Despite the heavy rain that morning, we were called to board the aircraft at 5:30am. We were already losing hope, and thought that this trip would just go to waste. There was no sign of the weather condition getting any better, the rainfall even got heavier as we boarded the plane. When we took off, we told ourselves, "there is no turning back now," while staring at the thick rainclouds outside the window. We closed our eyes and tried to ignore the turbulence and get some sleep. When we ware about to fall asleep, the captain announced that we were cruising above Camarines Sur and will pass beside Albay's Mayon Volcano in a few minutes. 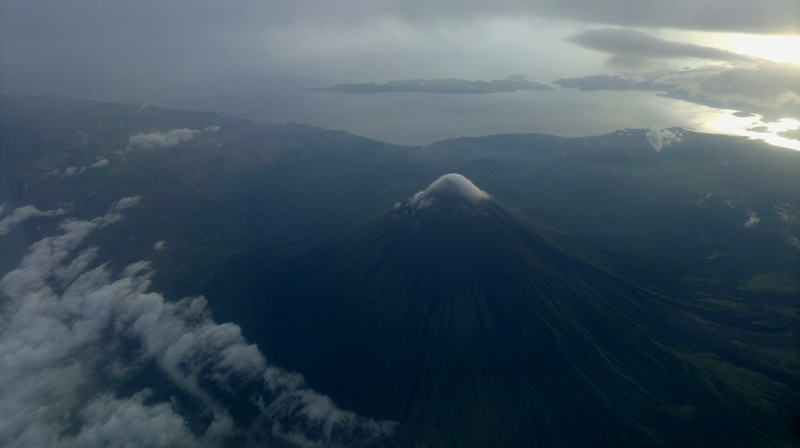 We did not hesitate to ask permission from the flight attendant if I could transfer to the vacant seats on the left side of the plane to get a better view of Mayon. 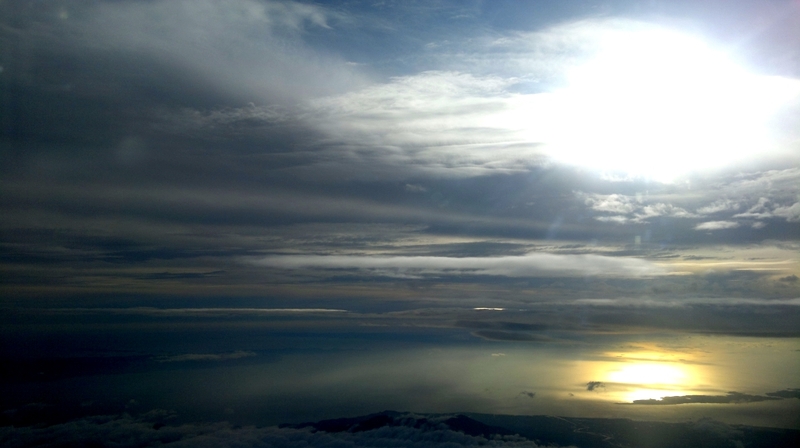 We were happy to see lesser clouds over Bicol as we enjoyed watching the sunrise over Lagonoy Gulf. Cruising over Sorsogon, we also had a glimpse of Mt. Bulusan from the opposite side windows. We thought that was the end of the show, so we returned to our designated seats. Few minutes later, we saw that we were approaching a land mass. The good news was, there were hardly any clouds. Then there was this group of islands that took or attention. Without any doubt, I knew it was Biri. We could clearly count the six rock formations protruding from the main island. We even told the flight attendant seated beside us: Dyan kami pupunta mamaya (That's where we are going later). Our aircraft finally landed at Catarman Airport at 7:00am. 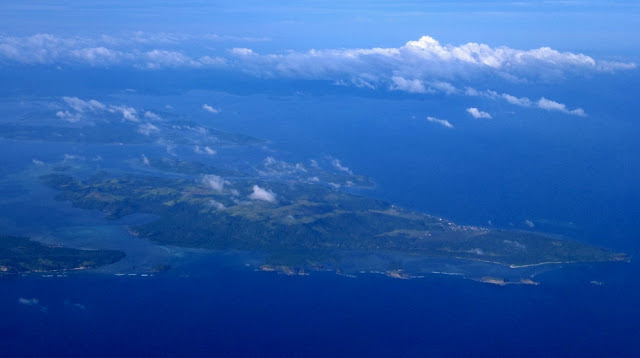 When we deboarded the plane, we were greeted by the sunny morning weather of the island, a reassurance that it was the beginning of a fun-filled adventure in the province.